Alice’s at the San Francisco Chronicle Wine Competition! Last weekend was a complete blast, as we joined our fellow wine connoisseurs at the San Francisco Chronicle Wine Competition! We passed out our cookies, which pair excellently with a nice glass of wine and those that visited our booth agreed. A true bon vivant knows that one should occasionally enjoy a lovely late harvest zin with a scrumptious vanilla stick cookie- how delightful! We met so many amazing people including the Bachelor’s Ben Flajnik and his lovely mother! 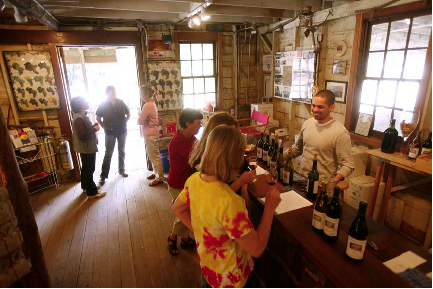 Read more about Bachelor Ben’s visit and the San Francisco Chronicle Wine Competition itself here. Now take a look at all the fun we had in the pictures below! Alice’s Stick Cookies Drove Across the Country! For those of you that follow us on Facebook and Twitter, you may have seen that one of our team members, Megan, recently road tripped across the country, cookies in tow! This is a pleasant reminder that Alice’s Stick Cookies are available for sale in specialty food stores all over the United States! We are proud of our ability to reach so many different types of customers from the East Coast to the South to the Mid West to our home, California! Take a look at Megan holding a box of Alice’s Stick Cookies at various points on the journey from Atlanta to the San Francisco Bay Area. Which is your favorite destination? At the Cherokee Trading Post in Oklahoma! The Grand Canyon! It snowed that night! Wondering how to help out this winter? My friend just told me about an awesome day she had decorating cookies…for homeless shelters! She had a blast and got to hear some truly inspiring stories. 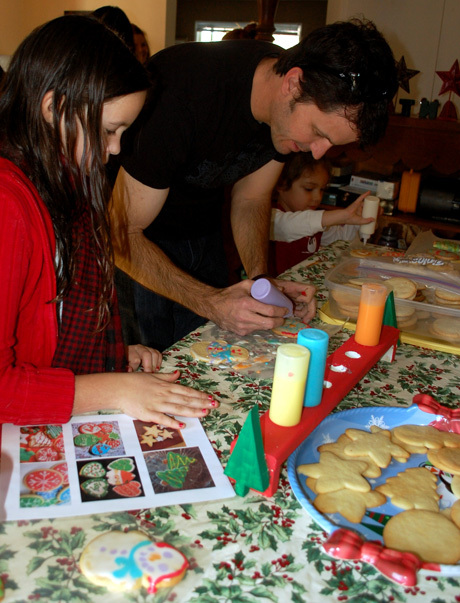 Through an organization called Drop in and Decorate, you can organize cookie decorating parties through your work. Explore your creative juices and make a family’s day, too. Makes me happy just thinking about it. This Valentine’s Day, we have lots of love for the friends who have supported Alice’s Stick Cookies! We recently visited Cooper Garrod, a fabulous local winery, and thought it would be a great place to celebrate friends in February. 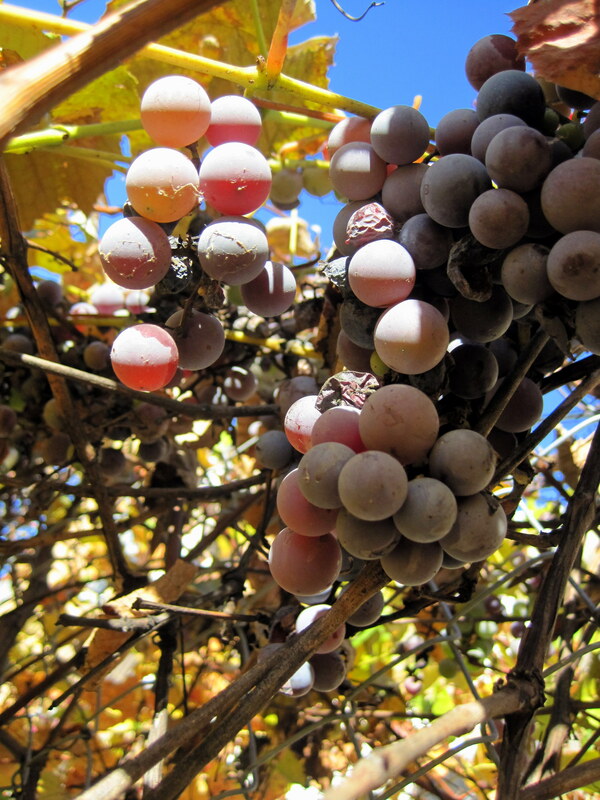 The grapes are still waiting for warm wind, but in the meantime, tours of the cellar are a tasty treat. A picnic, delicious wine, and of course, a pocketful of our cinnamon-ginger cookies. Love, indeed. Try an Alice’s Stick Cookies Cheese Cake! This weekend, we had a fantastic time baking a lovely New York style cheese cake, using Alice’s Stick Cookies for the crust. The result was absolutely finger-licking good! We definitely recommend trying our recipe below. The Alice’s Stick Cookies crust gives it that extra gourmet touch that will leave your family and friends impressed by your baking skills and wanting more! Beat cheese, add eggs, then vanilla, lemon juice and sugar. Beat all together until fluffy. Pour into crumb crust. Bake 15 min at 350 degrees. Remove from oven and cool 5 min. Pour on topping. Bake 10 min. Cool and refrigerate for 2 hours. Serve. Alice’s Stick Cookies at the NASFT’s Winter Fancy Food Show! Kelly Flaig and Jessica Gowdy pass out samples! The Alice’s Stick Cookies team had a wonderful time last week at the National Association for the Specialty Food Trade’s Winter Fancy Food Show in San Francisco. The event included thousands of samples of tasty treats from all over the world, spanning both Moscone Center buildings. Needless to say, our team stuffed ourselves silly, while exploring the show and connecting many fellow food lovers. We also enjoyed being a part of the Savor California section of the show and allowed many a visitor to sample our award winning cookies! The feedback on the taste was as we predicted: everyone LOVED them, and some even came back for more! Click here for more details about the show, including an overview from each day! Wanna help us? Yelp us! Build some positive Yelp (and cookies) karma! Post a review! We greatly appreciate the support! Tis the time of the year…for GIFT BASKETS! The traditional gift basket never loses it’s charm, whether given to a corporate office or a family and friends. 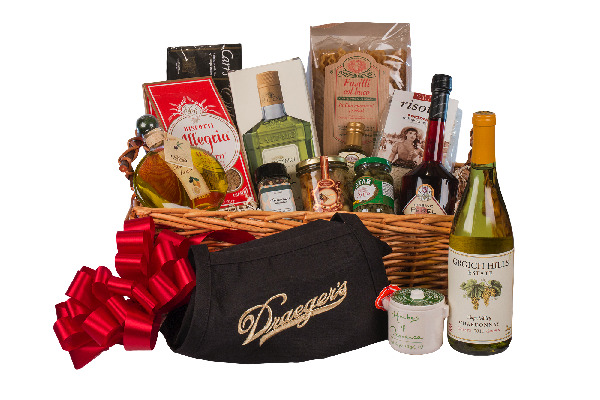 We are honored to be included in some of Draeger’s Specialty Gift Baskets. What a lovely way to show your peers or loved ones you care- these baskets are chop full of style and attention to detail. We especially love that Draeger’s includes so many locally made artisan foods, our cookies included. Northern California offers endless specialty food treats! Click here to learn about how you can purchase gift baskets from Draeger’s. What an easy yet thoughtful last-minute gift idea! Holiday Fun at the Los Altos Andronico’s! Last weekend, we attended the Holiday Festival of Food at Andronico’s in Los Altos. We had so much fun as one of Andronico’s featured products. We passed out samples of our cookies to customers, while enjoying the festivities, which included live music and a fun raffle! Below is a picture of one of our own sharing Alice’s Stick Cookies! Her smile says it all! Many thanks to Andronico’s for being so supportive, friendly and fun! We are so proud to be sold at such a community oriented grocer. We love these events and can’t wait for the next one! A website we love. How Fancy! Have you heard of TheFancy.com? We are constantly looking for inspiration, whether it be in other food products, design, music, etc., and TheFancy.com acts as a way to explore different interests and organize what you like. The best part it that the site is very visual- you can choose what inspires you based on an instant reaction upon first glance. Also, you have the option of following the feeds of your peers and their inspirations. Imagine a tumblr of all your friends in one feed coupled with the option of choosing items you yourself “fancy”. Over time, the site could possibly create a visual of all the different things that inspire you. Talk about a great way to visualize your creative style in one place!